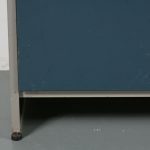 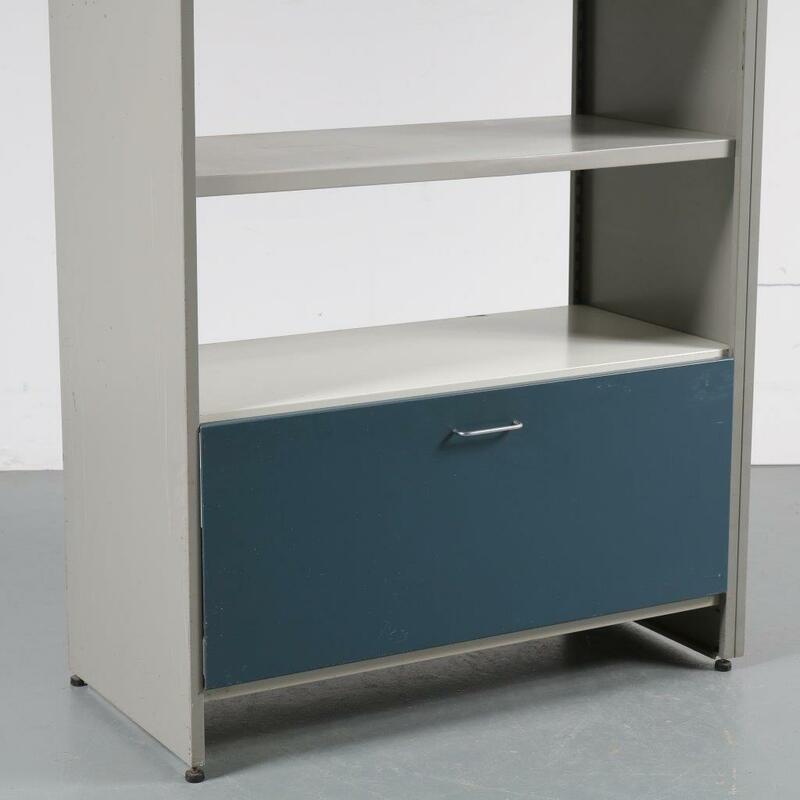 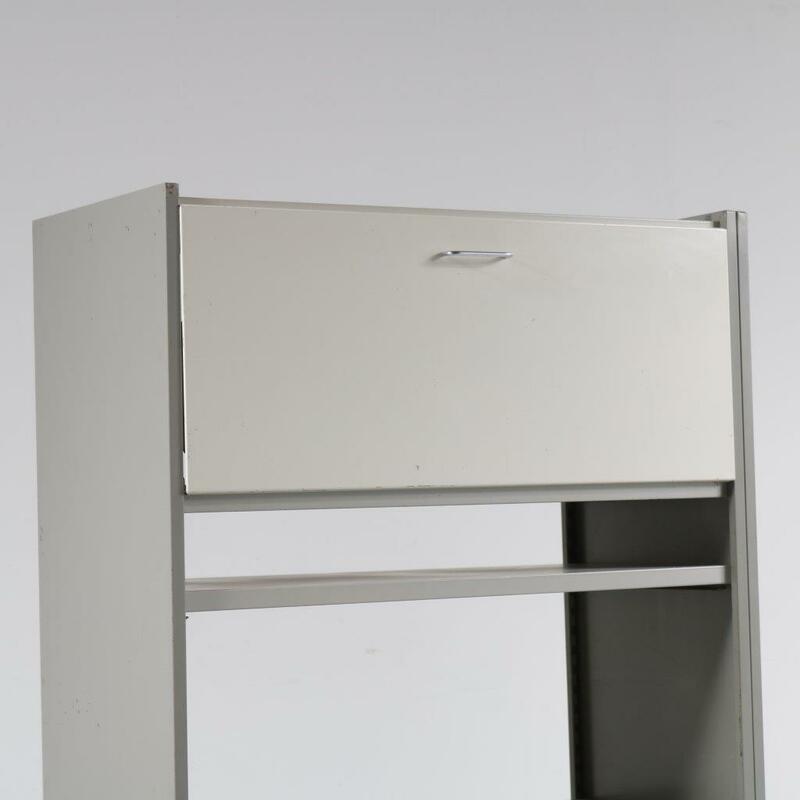 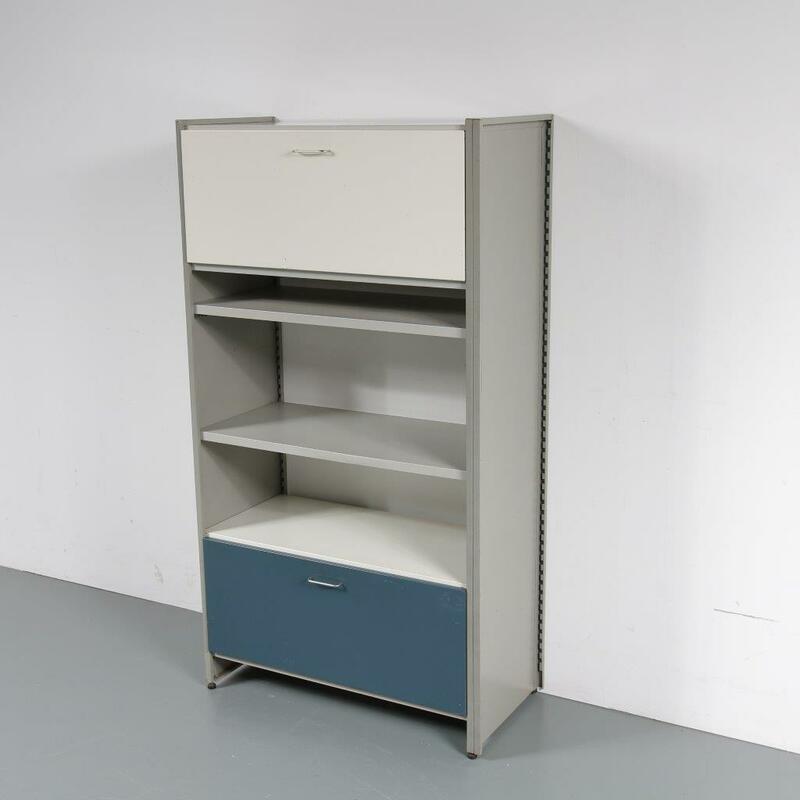 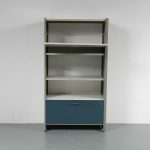 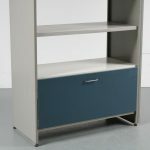 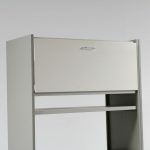 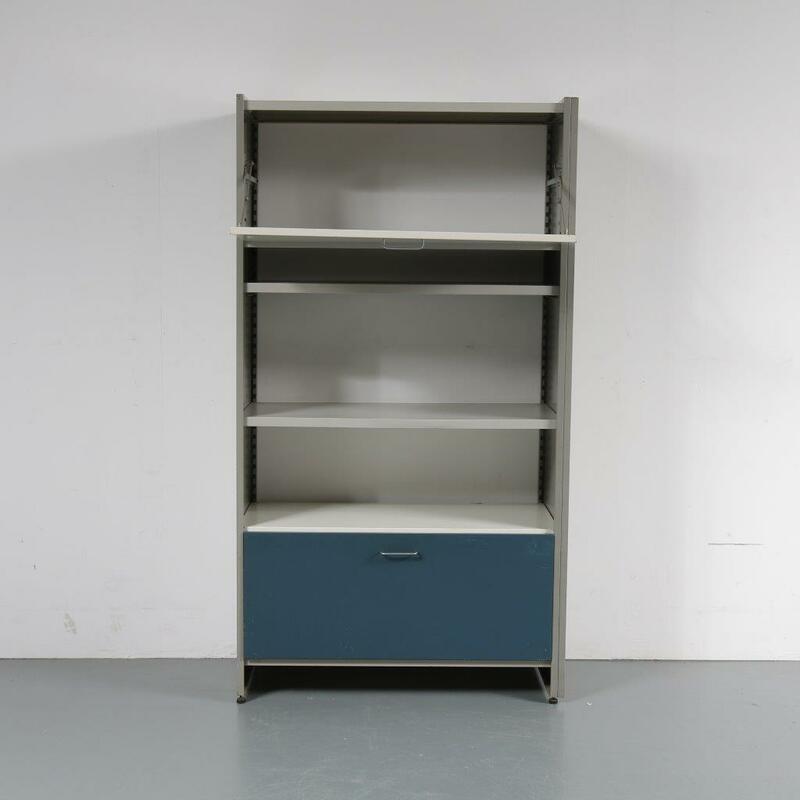 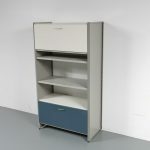 This high single unit system cabinet is made of high quality metal, giving it an industrial style. 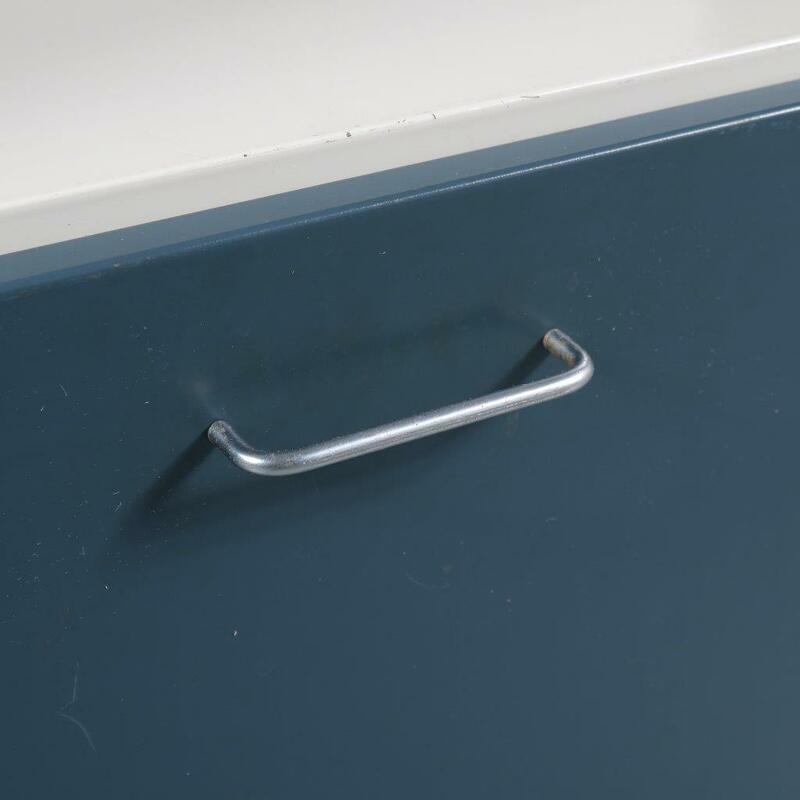 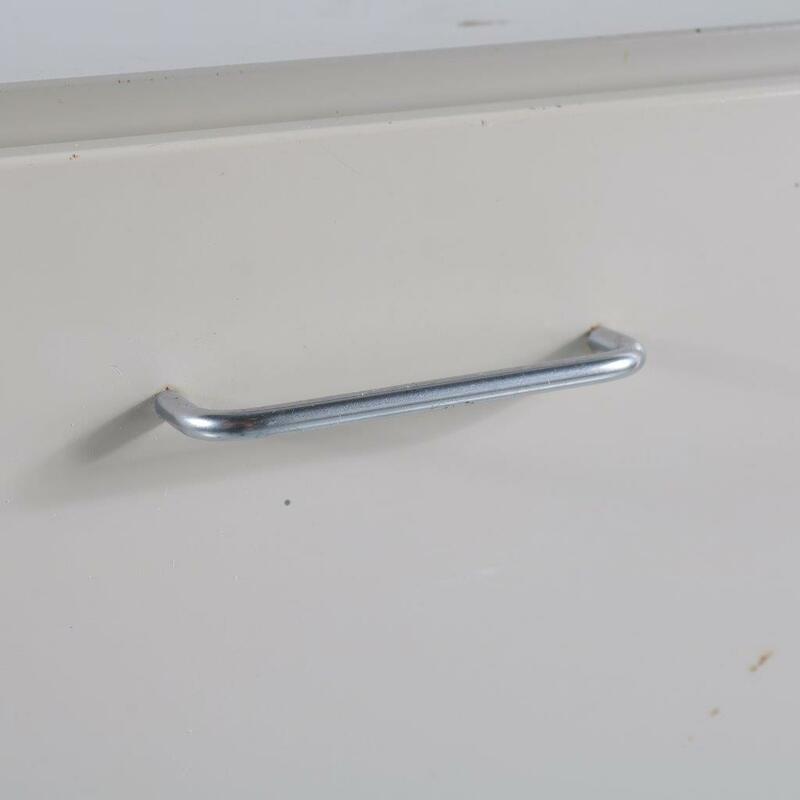 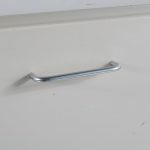 It has a straight, modern design with square shapes and rectangular chrome plated handles. 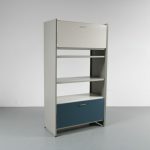 It has a modern style, fitting perfectly within the midcentury pieces by Dutch manufacturer Gispen. The navy blue lower door is a perfet finishing touch to the white and grey design, adding some colour without losing the subtle stylish appearance. It remains in good vintage condition with minor wear consistent with age and use, preserving a beautiful patina.